Thank you Ann. It wasn’t as easy as I thought it would be to write this post. I almost wish I would have read the book instead! It is my pleasure to participate on this tour. I hope this book finds and helps many teens. Please entere and thank you for the giveaway! You were the winner! Check your email! A very emotional post. It must’ve been incredibly difficult to witness that at such an young age. Any age, really. I’m glad you were able to spend that time with your grandparents. We seem to have a lot in common concerning our childhood years. I too went to live with my grandparents for a year when I was 14. I’m so thankful for that dear time with them. It changed my life. It was difficult moving home after that, but I’m thankful for that as well–for my Mom developed breast cancer shortly after that, and I was there to help her. We mended our bond before she passed away on my 19th birthday. Okay, sorry. Didn’t mean to get so depressing there. Thank you for sharing your personal story. 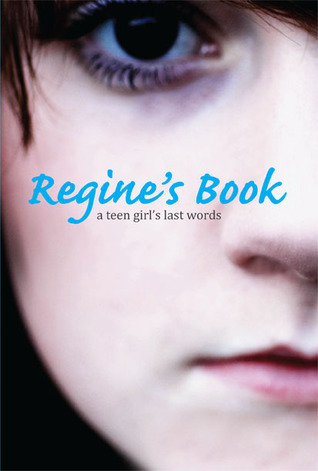 Please enter me in the contest to win Regine’s Book. Hi, Jess! I’m a fellow blog tour stop for Regine’s Book (my post goes up on Friday)! This book was definitely a tough read for me, but I thought Regine’s raw honesty – while overwhelming at times – helped to put so many things into perspective. It’s well worth taking the time to read and share with others. Thank you for sharing your story about your Grandfather. Such a difficult journey for all of you, but I’m glad you were able to spend that time with him. Great post – so glad to be a part of this blog tour with you! This story sounds amazing and incredably sad. :( I would still read it though even though i hate crying. Anyways its very couragous for her to writing about her struggles, and I really feel for the family. What a special giveaway. It would be greatly appreciated. many thanks.